Welcome to the About Page where you can learn more about OKC Retina Surgeon / Vitreoretinal Surgeon Dr. Maxwell! 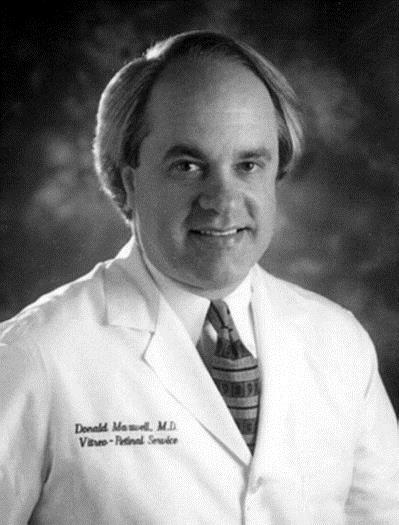 OKC Retina Surgeon/Vitreoretinal Surgeon Dr. Maxwell was Born in Lawton, Oklahoma. Graduated from Pauls Valley High School. OKC Retina Surgeon/Vitreoretinal Surgeon Dr. Maxwell attended the University of Oklahoma undergraduate and Medical School. Tenured Associate Professor of Ophthalmology at Tulane School of Medicine. Chief of the Retina Service Charity Hospital and VA, New Orleans, La. until 2000. Private practice Oklahoma City 2000 to present. Only 1 of 2 Vitreoretinal surgeons in Oklahoma to complete a two year approved Vitreoretinal Medical and Surgical Fellowship program. Only 1 of 2 Vitreoretinal Specialists in Oklahoma to be voted into membership in the prestigious Retina Society. Received the HONOR AWARD 1996 from the American Academy of Ophthalmology for recognition of “excellence in teaching and community service”. Only 1 of 2 private practice retinal surgeons in the metropolitan OKC area to be awarded with ACHIEVEMENT AWARD by the America Academy of Ophthalmology 1996. OKC Vitreoretinal Surgeon Dr. Maxwell is looking forward to helping you with your retina/vitreoretinal needs! If you have any questions about Vitreoretinal Surgeon Dr. Maxwell please contact him at (405) 302-3882. You can also contact Vitreoretinal Surgeon Dr. Maxwell on the form on the homepage of our site. Click the links below to see more information on the award OKC Retina Specialist Dr. Maxwell received from the American College of Surgeons!